African-American actress Paulene Myers has a small but pivotal role in this schlocky B-movie that’s a “meta” semi-sequel to I Was a Teenage Werewolf and I Was a Teenage Frankenstein and revolves around the (fictional) makeup artist (Robert H. Harris) who created the creatures for those two films. 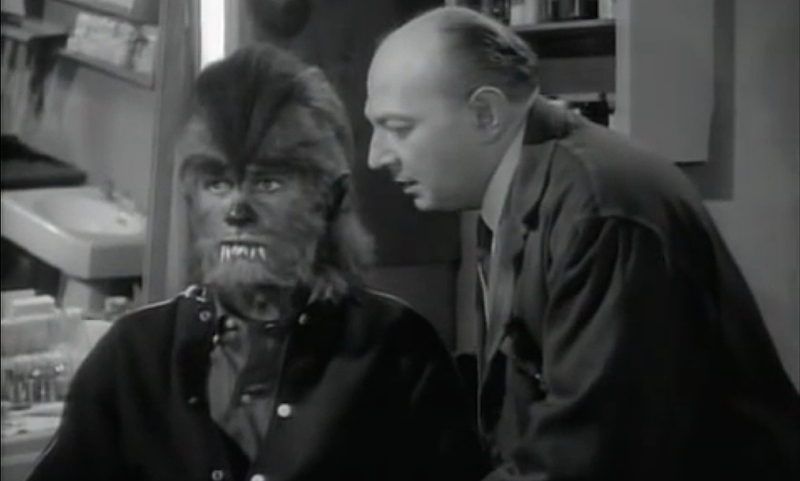 When he’s fired by the new owners of the studio, he gets revenge by hypnotizing the actors playing the teen wolf (Gary Clarke, replacing Michael Landon) and the teen Frankenstein monster (Gary Conway) into bumping off the studio suits one by one. 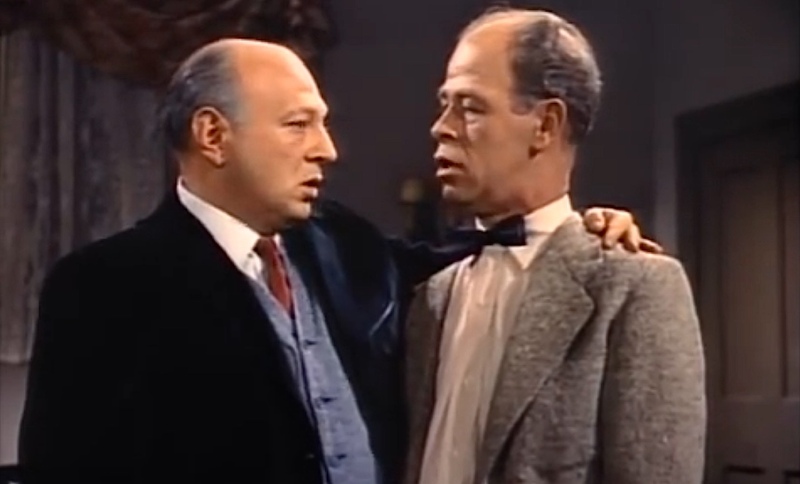 Frankly, any appearance by a black person in a horror movie during the 1950s is notable — because apparently, all black people in America during that time went down South to get hosed and bitten by police dogs — but Myers’ role as a maid named Millie is actually key to the plot. 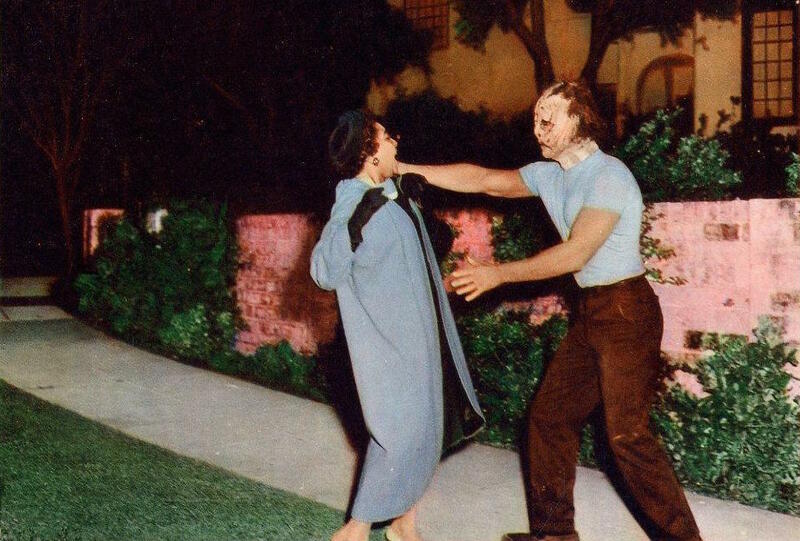 She’s the only person who witnesses teen Frankenstein at the scene of a murder and describes him to the police, helping them track down the culprit. 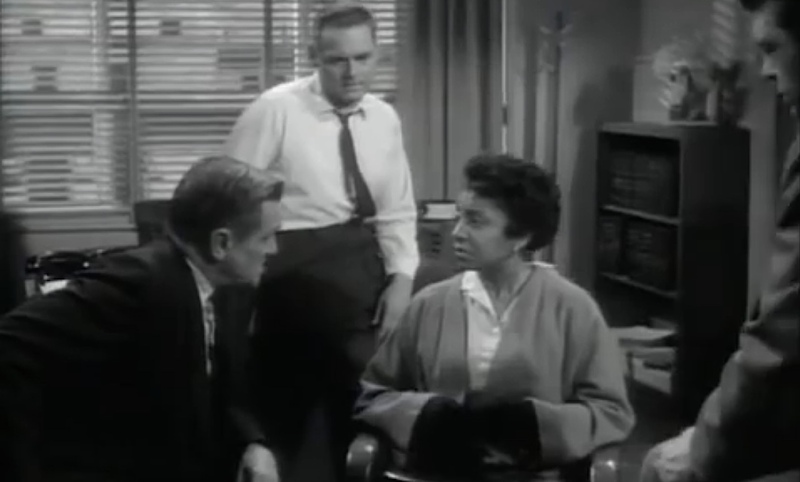 Perhaps as an indication of progress, when Millie is interrogated by the cops, she doesn’t speak in a broken, stereotypical, overly deferential manner like characters of the ’30s and ’40s played by the likes of Willie Best, Mantan Moreland and Stepin Fetchit. Yes, she’s a maid, but until someone mentions that fact, you wouldn’t necessarily know it from the way she acts and talks. In previous decades, the exaggerated stylings of Hollywood filmmaking might have made it more painfully obvious. 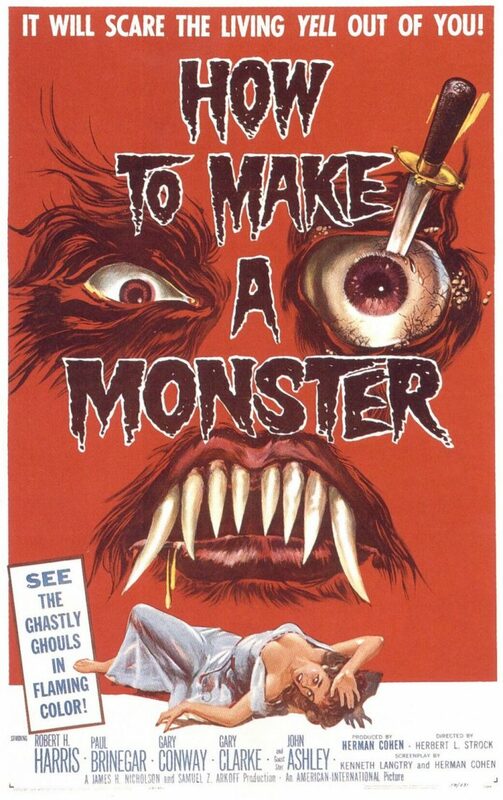 How to Make a Monster, though, was released in the same year that Sidney Poitier starred in The Defiant Ones, earning himself a Best Actor Oscar nomination, so times they were a-changin’…slowly. 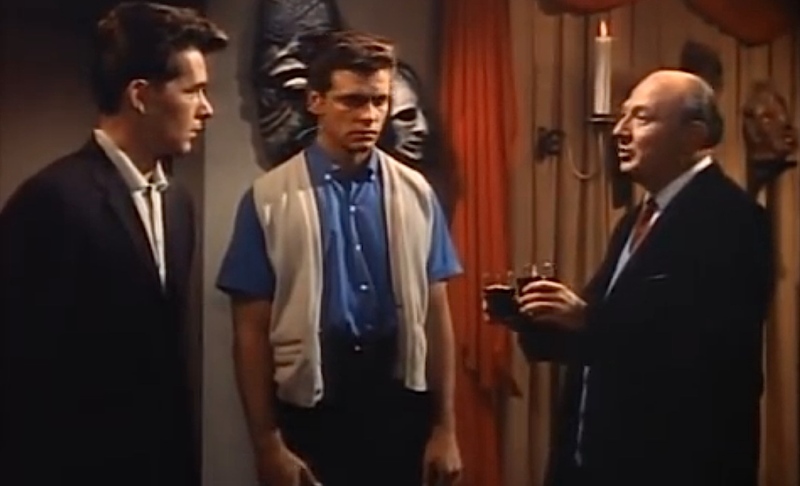 Teen Frankenstein: the original smedium shirt douchebag.